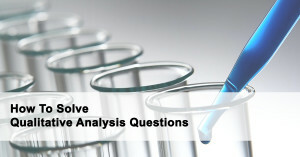 How To Solve Qualitative Analysis Flowchart Questions With Ease! In general, when sodium hydroxide or aqueous ammonia is added, it is a test for cations. When other substances are added, it is usually a test for anions/gases.